those fleeces are so pretty. can’t imagine how lovely the roving and yarn must be. Sounds to me that Nan is having a great life. I enjoyed listening and learned from her approached to raising sheep. Inspiring podcast. A fun episode to listen to. I thoroughly enjoyed it! Always so enjoyable and interesting! Very interesting interview! I enjoyed listening to it very much!! Thanks for all your hard work! Would love to knit with White Gum Wool yarn sometime! as always, thanks for the inspiration and giveaway. Beautiful color yarn! Love the photos! I am so jealous! My sheep never snuggle with me like that! 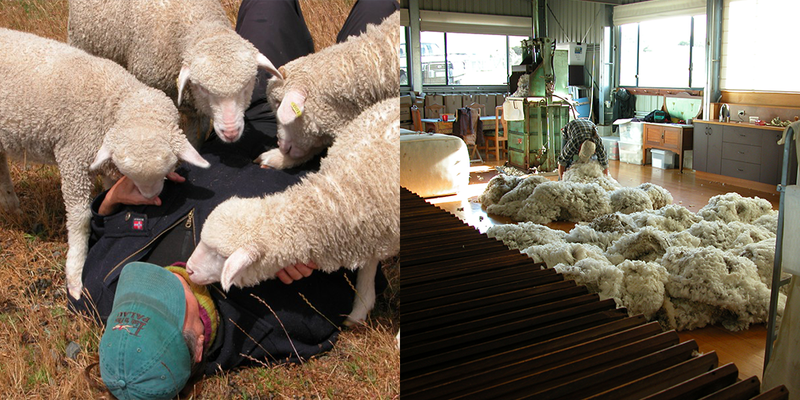 Beautiful sheep make beautiful wool. Thanks for the chance to win some wool! I just discovered your blog and podcast! So excited to listen and read what you have to share. Thank you. Wonderful to hear about such a hands on approach. Always expanding my knowledge. Thank you! Can’t wait to listen! And thanks for the chance at the giveaway! After each of your episodes where you interview farmers, I always want to run off and start a fiber farm! I am saving every penny to start my future farm. Thank you so much for these wonderful podcasts, they bring me more inspiration and hope than words can express! I have fondled some White Gum yarn and fibre in person, it is truely lovely. Thanks for the interesting podcast and the giveaway. I really love listening to these folks talk about their lives and their work. Thank you so much for the effort of doing these podcasts. Great podcast! What an amazing & passionate shepherdess! I admire her dedication & love for her flock. She is very empowering. 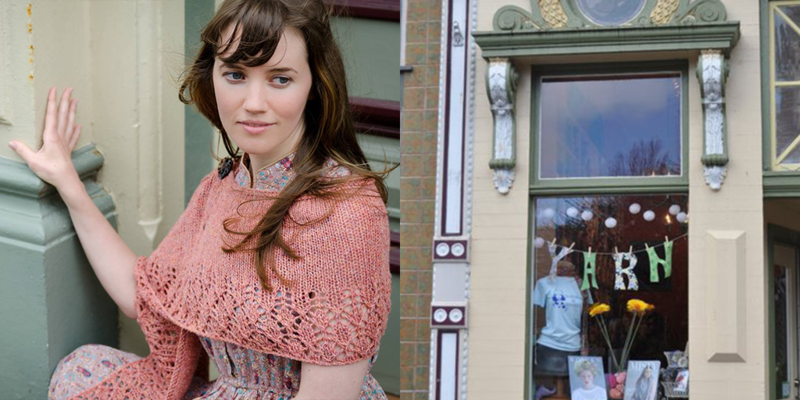 I love the woolful podcasts and would a chance to work with Nan’s beautiful yarn! Thanks!! Fascinating! Thanks for another great giveaway! this podcast has by far been my favorite of all. several times while listening to Nan talk I wanted to jump right into the conversation and ask a few more questions. so much of what she said spoke directly to my heart and interests. When I had Angora goats,we would allow them to graze and browse in different places on our farm with the same idea that the plants and the variety of plants would provide them with the nutrition they need. why has it never occurred to me to do the same for our sheep?I am also intrigued by Nan’s shepherding. I have a young border collie that is just a year old and I am anxious to begin training with him. we are working far less acreage than Nan but the use of our dog will certainly help us to get the sheep to places where they can graze. I have also been eyeing neighbors fields and dream of being able to lead the sheep up the dirt road to graze on vacant pastures.I have spent the last hour reading nans website and look forward to learning more about her way of shepherding and raising sheep. Ashley, thank you again for all your hard work. Another wonderful, informative, and inspiring podcast. I have only 3 sheep, but I am already rethinking a few things based on Nan’s techniques and knowledge. You live in my preferred community of woolie folk, and I thank you for all the richness and expanse that you have (and will continue to) bring to it. Thank you for another inspiring and “smart” podcast. I’m learning so much about sheep and wool and, although I don’t imagine ever owning any sheep, I appreciate learning more and more about the fiber I use in my knitting. My friends are beginning to think of me as a wool geek, which I think is awesome! I love to know the story behind the yarn. I used this yarn for the first time and it was love at first sight. It is amazingly soft and to know the history makes the yarn extra special. Isn’t she amazing, thank you Ashley for this remarkable interview with Nan. I am so totally inspired by her even more so after listening to her on Woolful. Your interviews always get to the intricacies of life on farm and fiber ventures and people in the fiber industry world wide. Many thanks again for bringing such a interesting and well thought out podcast. I can hardly wait for each episode to air. Love that colour. I can imagine it with a soft grey and made into a squishy garter scarf or shawl. very interesting and inspiring . She is such an interesting woman! Just found about this podcast from Woolcrush and glad I did! 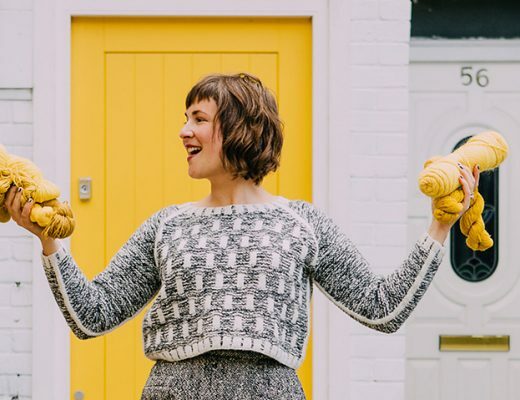 I have only recently begun listening to Woolful podcast, and I am absolutely loving it! It is so great to learn more about the fiber industry from folks involved in it. Can’t wait to listen to the new podcast episode. The photos of the sheep are absolutely lovely. 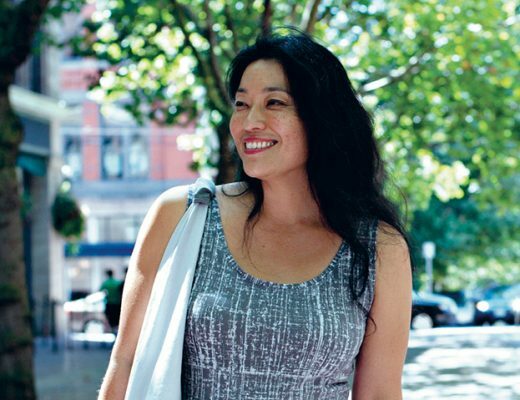 I’m so thrilled that you interviewed Nan! I first saw her “A sheep like Alice” video over a year ago and thought it was spot on. My local sheepherding mentor does things much the same way as Nan with amazing results. I’ve been slowly introducing plants that grow healthier wool in my pastures. It takes some time but is well worth it! congrats to Samantha! I really wanted those bento bags!!!! guess I’ll have to order up! as always, looking forward to listening and knitting – keep ’em comin’, Ashley! Thanks so much for your podcasts allowing us to connect with those wonderful folkfibers all over our blue little world. Happy day to you all! 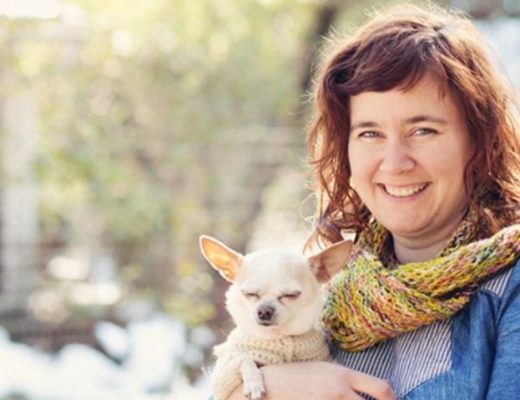 Love learning about what other fiber people are doing and about their yarns or fibers. Thanks for the great podcast. Love it always. 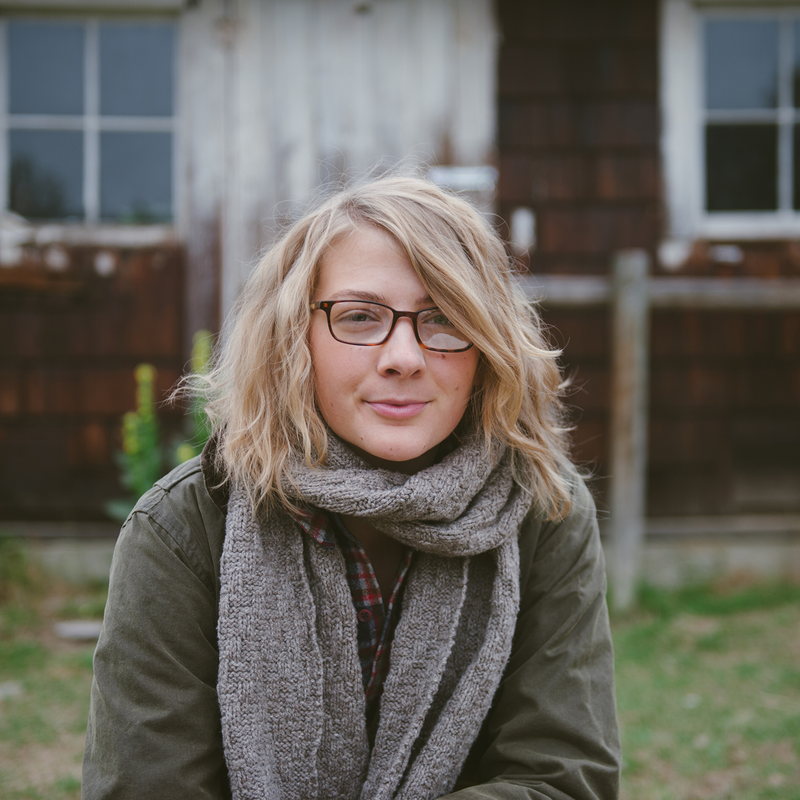 As a fellow shepherd, it was great to hear what neat things she is doing with her flocks. Really liked her connection between nutrition and vaccinations/parasites/other health issues. I only have a small flock, but Nan definitely got me thinking about some of my practices. I plan on finding the book she mentioned regarding pasture management to add to my reading list. I wish I had the land to expand my flock and be able to implement some of her close shepherding practices! I really look forward to and enjoy these podcasts! Thank you! Love your podcast!!!! I learn so much from them. Thank you so much for the time and effort you put into this. Thank you for all the work and dedication you put into these podcasts, Ashley. This one is as great as all the prior ones. I don’t know how you keep up with it all, but am very grateful to be able to listen to your various podcast episodes. Fingers crossed also this time!!! I always enjoy your podcast and the wonderful fiber people you introduce us to. 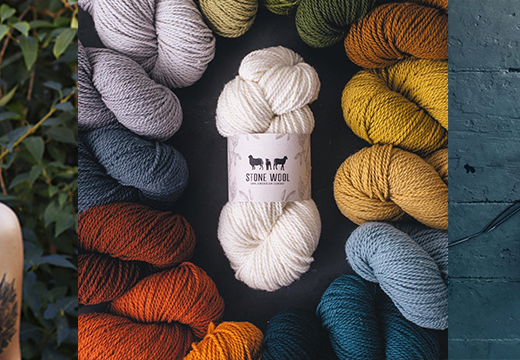 I thoroughly enjoyed this episode and would love to try this gorgeous wool. Nan’s story is so inspiring! I would love to be a part of one of her shepharding days. This podcast episode was completely enchanting. I am so inspired by Nan and her honor of her animals. Her description of her life in Tasmania captured my imagination! Ashley, thank you for your wonderful content and the care with which you curate it. Each episode is a gift I look forward to. Blessings. All of your interviewees inspire me, but honestly…Nan’s story – told in your podcast and in the videos on her website left me on the verge of happy tears. Thank you! 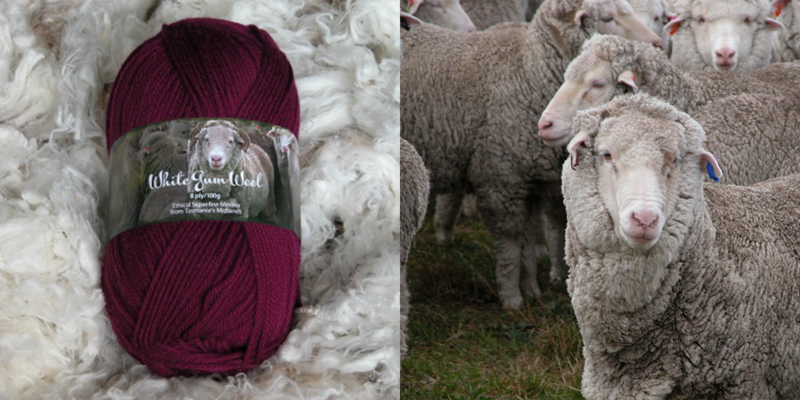 I would absolutely love to win some of her gorgeous yarn from sheep lovingly cared for by Nan. Another great podcast profiling the range of jobs and experiences that exist within the fibre community. Would love to knit with that lovely yarn! Very excited to listen to this in the studio tomorrow! I am in love with this podcast and in love with the yarn. 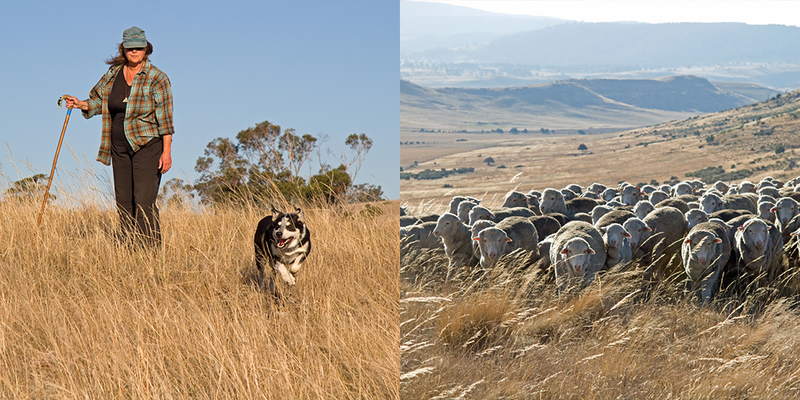 I as so thrilled and excited to hear about Nan in Tasmania and her amasing ethical husbandry practices with her flock.Being also an American now living in Australia I am so proud of Nan and now am determined to meet her some day !! Her Sheep are amasing and she is a generous and extremely respectable Person ! Thank you so much. Each and every time I listen to your podcasts, I come away with new knowledge about this wonderful fiber industry of ours. Nan’s story was very evocative. Before I even looked at the blog post pictures, I had pictures in my head for every story she told. Thank you both. This was a nice episode, I really got some serious visuals of being out there with a herd of sheep. Love it. This was one of my favourite interviews so far! Nan’s story was so inspiring to me. Thanks so much for sharing it! Probably one of the best episodes you’ve had yet. Nan is fantastic! And I WANT THAT YARN. OMG….. I just adore this podcast so peaceful and informative! I also would love of course to win this weeks prize! Oh this makes me dream of becoming a sheperd! So inspiring! I loved listening to Nan’s evolution from biologist to sheep farmer. Really admire her for following her dream! You did it again! Another amazing episode – thank you so much! I love beautiful yarn with a beautiful story! What a great interview! The connection between nutrition and seems (now, post interview) to be a no brainer, but I hadn’t consciously made. I love the way your show pulls my brain in new directions. so loved listening to Nan’s story, and really appreciated the questions you asked her. her strong bond with her flock sounds so sweet and makes her yarn all the more special! Another great podcast! I would love to try some of that yarn! I’ve been reading a lot of Donna Haraway for one of my classes. She’s doing a lot of theorizing about cross-species relationships, and I really think that she would get along well with this week’s guest! Such a lovely story! I love the look of the yarn! What an amazing story. I have been loving this podcast and all that I’m learning from such passionate and interesting people. Thank you!! Nan’s story is interesting and inspiring. Thank you for another great podcast! Super interesting learning about the process of caring for sheep! Thanks love your podcast! oops, I just realised I posted a comment for this episode on the wrong post. Anyway, thanks for another great episode. I love White Gum Wool and love what Nan is doing with her sheep. 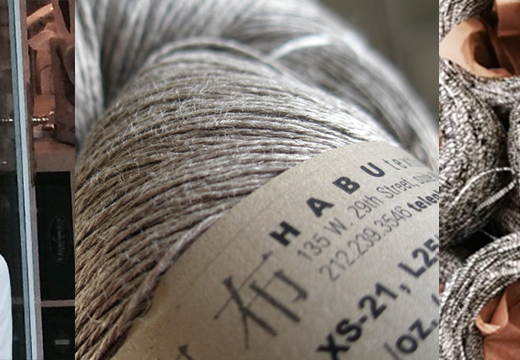 Really enjoyed this podcast and would love to try this wool. I just started spinning and loving it and will learn to natural dye very soon. Love, love, love the cranberry color. Simply divine, and looks so soft. Wold make a great addition to Spring knitting projects. As with all your podcasts I have been captured by the interests of people like Nan Bray. Well done, it is fantastic to learn more about the yarns we use. On my fiber journey I have moved from mass produced yarns to those either dyed or produced in small batches from people who really love what they do. Now to go and try some white gum wool. I loved hearing about how Nan got her start on her farm. Hard work definitely pays off! It makes me appreciate wool so much more. still catching up on all the podcasts, but loving each and every one! keep up the great work! So very interesting how she’s managing her flock! She may be onto something regarding the intestinal microbiome of her sheep. SO GLAD you had her on your podcast! I have been following her for a very long time and have read the Art and Science of Shepherding and have listened to Fred Provenza on You Tube. MOST excellent. What an inspiring story! I look forward to these podcasts so much! Thank you!! I loved Nan’a story, thank you both. Oh and the giveaway too! This was my favorite episode so far of the podcast, and I’ve listened to all of them! I especially liked Nan’s scientific approach to farming. i am studying for a public health class right now, and I loved hearing her thoughts on sheep nutrition and how that relates to their well being – just like in humans! All your interviews also make me want to become at least a hobby farmer, and escape the concrete in the Bay Area. Thanks! 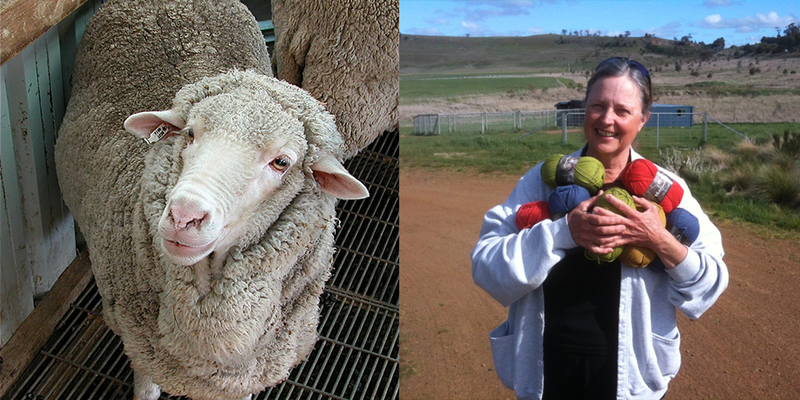 I loved hearing Nan’s story and how she has learnt so much from interacting with the sheep. It makes me want to be a shepherd. This made my Tuesday morning a little brighter. Thank you! This was fun and easy listening! Excited to listen to another podcast! 🙂 Thank you for them! Wonderful podcast as usual!! I love listening and learning. Thank you for these podcasts. Knowing where the yarn comes from makes it special. This looks like lovely yarn! I love listening every time! thanks for working on this. it is fantastic! I loved listening to the interview while I walked yesterday. I wanted to hear it all, so I ended up going an extra mile. I would love to try out her yarn after hearing her description of how soft and wonderful it is. I had heard about White Gum through another blogger, but this interview was fantastic. I’ll just have to save my pennies for the shipping when I buy a SQ. Just adore this wool! Hope I win some more for my stash!